Gather up foodies and have a bash! 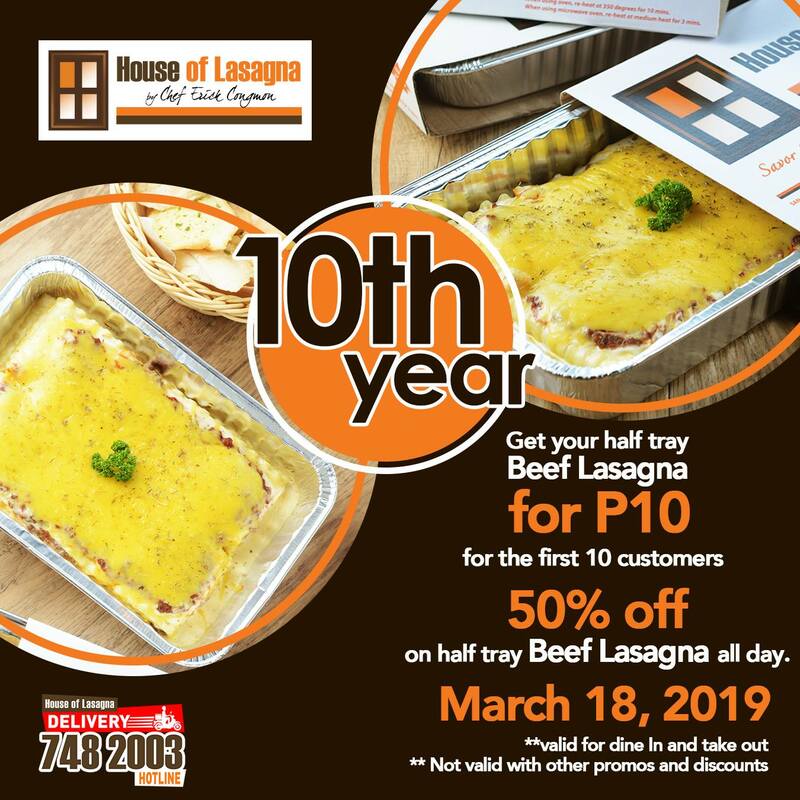 Prepare for a burst of flavors from House of Lasagna’s Half-Tray Beef Lasagna for Php10. Come and celebrate as House of Lasagna serves delightful treats on their 10th Year Anniversary. Be sure to block March 18, 2019 off your calendar and head to the nearest branch with your family and friends. Dazzle your taste buds with their best-selling Half-Tray Beef Lasagna available for just Php10 ONLY for the first 50 customers. But if you cannot make it on the first 50, you can still indulge in that multi-layers of oozy goodness for just half its price. 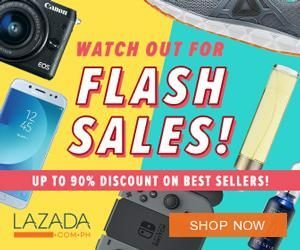 Unit 009 B – 010, Building A SM Mega Mall, EDSA Corner Dona Julia Vargas Ave.
Pedro Gil Wing, Robinson Place Manila, Pedro Gil St. Cor. Adriatico St.
For more details and updates, you may visit their official Facebook Page.